Youngevity has made a pretty big footprint in the world of nutrition MLMs, and they’re not losing steam anytime soon. Their products consist of superior ingredients along with careful packaging and handling and Youngevity claims that this is what makes their nutritional supplements different from the others. 1. 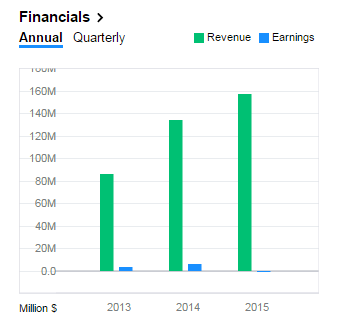 What does Youngevity sell? Youngevity sells products related to health and nutrition, food and beverage, spa and beauty, fashion, and essential oils. They also sell a slew of home and business services, including road assistance, internet, and phone. 2. What are Youngevity’s most popular products? They’re probably best known for their wellness product. The BTT 2.0 Citrus Peach Fusion is an advanced multi-vitamin mineral complex that gives you the essential nutrients your body needs for optimal health. The Freelife Himalayan Goji Juice is the original standardized goji juice, rich in bioactive Lycium barbarum polysaccharides to give you all the antioxidant benefits of goji fruit. Youngevity also contains a full line of natural cleaning products. And for weight management, their Tru Keo shake is a meal replacement shake that supports the ketogenic diet. 3. 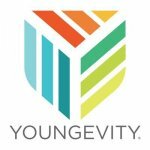 How much does it cost to join Youngevity? To become a member and be eligible for paychecks, you’ll pay just $25. To start your own business, you’ll need to buy a CEO Mega Pak for $499.95. Here’s you have a lot of options. Just choose the category that you want to build your business around: nutrition, home and family, spa and beauty, apparel and jewelry, food and beverages, or services. 4. Is Youngevity a scam? No, it’s a publicly traded company that’s recognized in the industry. Either way, here are 13 startling truths you might not know about Youngevity. Mineral doctor Joel D. Wallach founded Youngevity. He’s been a pioneer in selenium research for almost 40 years now. Selenium is an essential mineral that helps the body synthesize antioxidants and perform important thyroid and immune system functions. Dr. Wallach found that the body needs 90 essential nutrients to reach optimal health, but the human body loses 90% of its essential nutrients because it can’t digest them. So, like any good MLM, Youngevity adopted a catchy little slogan – “90 For Life”. And they claim that their product has a 90-98% absorption rate, which is almost unheard of. They claim it’s because they’re plant-based and have a natural negative charge, which aids in digestion. Youngevity is basically an entire shopping mall of nutritional products. They now have over 2,000 products, 31 brands, and 15 different product categories. In addition to their 90 For Life flagship products, they have beauty products, grooming accessories, food and beverages, home, garden, and pet products. They could also stock an entire store with all the different starter packages they offer, from their 90 For Life starter package, to their Be the Change, starter package, to packs designed to help athletes, lower blood sugar, support bones, help your heart and brain, and even repair the digestive system. Oh, and they’ve got a weight loss starter pack. Of course they do. In fact, the Food and Drug Administration refuses to verify statements made by health supplement manufacturers, and it’s impossible to know the true source and safety of any liquid colloidal mineral supplement. They’ve got their fingers all up in just about every corner of the globe. From they’ve got over 25,000 distributors spread across 65 different countries. You can earn up to 30% on retail sales commissions, which isn’t terrible (if you make it up there), but it isn’t great either. However, they do have some bonuses that offer good perks. They have a 30% Quick Start Bonus, and for every four distributors you sign up, you get another $100 bonus. It costs $115 for the start-up package, which is already a little pricey, but you do get some product. However, you also have to pay an Enrollment Fee of $25. And, in order to move up in status quickly and make decent money, you really have to buy the “CEO Start-Up Pack,” which costs $499. Not so cheap anymore, especially compared to wellness company Monat. This company has a roster of athlete ambassadors from every NBA and NFL triple letter acronym you can name. In 2018 alone, they added ViaViente, Nature Direct, and Gigi Hill. Basically, they’ve got their pieces all over that Monopoly board. They aren’t playing around, and their staff picks prove it. In 2016, they hired a Chief Marketing Officer who’s huge. He’s worked with Mary Kay, the MLM Queen. If you need those warm fuzzies to keep you going, there you have it. Youngevity has proved that they aren’t just any other nutrition MLM. They’ve got a global presence and great support behind their products. As far as money-making goes, it may be possible. I mean, if you’re into hitting up family members and old high school friends on Facebook or throwing living room parties. “you are 82 years and the xray shows your knee bone to be like for a 50-60 year old women”. It was my tendon that was found to be imflammatory. For those that are starting these products, don’t give up, keep on taking them and you can combate any illness.